The association between cognitive function and cholesterol levels is poorly understood and inconsistent results exist among the elderly. The purpose of this study is to investigate the association of cholesterol level with cognitive performance among Chinese elderly. A cross-sectional study was implemented in 2012 and data were analyzed using generalized additive models, linear regression models and logistic regression models. Community-based setting in eight longevity areas in China. A total of 2000 elderly aged 65 years and over (mean 85.8±12.0 years) participated in this study. Total cholesterol (TC), triglycerides (TG), low density lipoprotein cholesterol (LDL-C) and high density lipoprotein cholesterol (HDL-C) concentration were determined and cognitive impairment was defined as Mini-Mental State Examination (MMSE) score≤23. There was a significant positive linear association between TC, TG, LDL-C, HDL-C and MMSE score in linear regression models. Each 1 mmol/L increase in TC, TG, LDL-C and HDL-C corresponded to a decreased risk of cognitive impairment in logistic regression models. Compared with the lowest tertile, the highest tertile of TC, LDL-C and HDL-C had a lower risk of cognitive impairment. The adjusted odds ratios and 95% CI were 0.73(0.62–0.84) for TC, 0.81(0.70–0.94) for LDL-C and 0.81(0.70–0.94) for HDL-C. There was no gender difference in the protective effects of high TC and LDL-C levels on cognitive impairment. However, for high HDL-C levels the effect was only observed in women. High TC, LDL-C and HDL-C levels were associated with lower risk of cognitive impairment in the oldest old (aged 80 and older), but not in the younger elderly (aged 65 to 79 years). 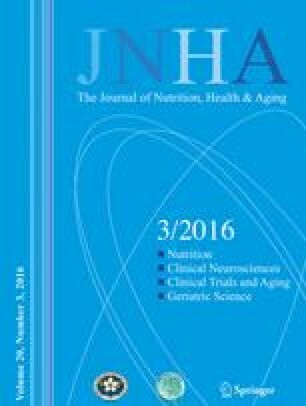 These findings suggest that cholesterol levels within the high normal range are associated with better cognitive performance in Chinese elderly, specifically in the oldest old. With further validation, low cholesterol may serve a clinical indicator of risk for cognitive impairment in the elderly. These two authors are co-first authors, they made equal contribution to this work.